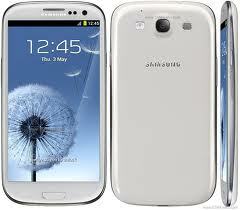 Samsung has released XXUGNG3 Android 4.3 Jelly Bean official firmware for Samsung Galaxy S3 I9300. Once you have updated (Flash XXUGNG3 Android 4.3 JB Official Firmware on Galaxy S3 I9300 – How to), here is how to root XXUGNG3 Android 4.3 using CF Auto Root package and get the super access of your device. Ensure that your Samsung Galaxy S3 carries more than 70% of charge. Required files: download CF-Auto-Root package for Galaxy S3 I9300 from here. Also, download the Odin3 v3.09 for installation from here. On your Odin, select PDA and locate the CF-Auto-Root package zip file downloaded earlier. Make sure to check Auto Reboot and F.Rest Time. When root package installation is successfully completed, you will get a PASS message. Once you see the home screen, you can disconnect your Samsung Galaxy S3 I9300 and reboot it.